The D. Brent Pogue Collection Part II sale is now complete and many dealers expressed their amazement in just one word….WOW! 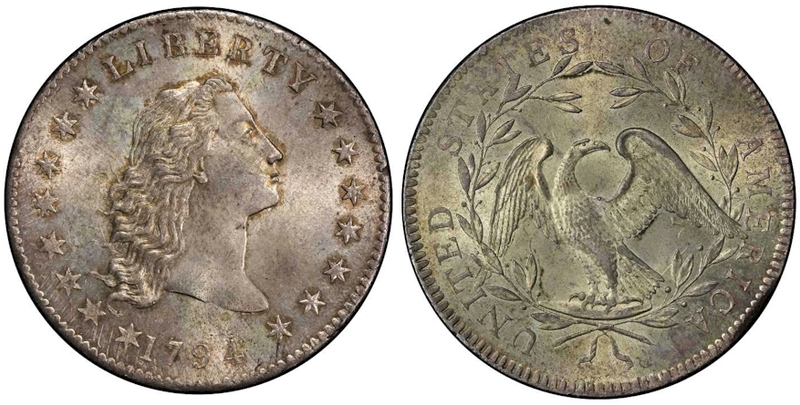 Hosted by Stack’s Bowers Galleries and Sotheby’s in New York, there were only 105 coins that brought over $26 million, which averages just under $250,000 per lot. The highest priced rarity sold was the Lord St. Oswald 1794 Flowing Hair Dollar graded PCGS MS66+ which brought $4,993,750. The last time it sold was in a Stack’s Auction in 1985 for $242,000 from the Jimmy Hayes Collection. 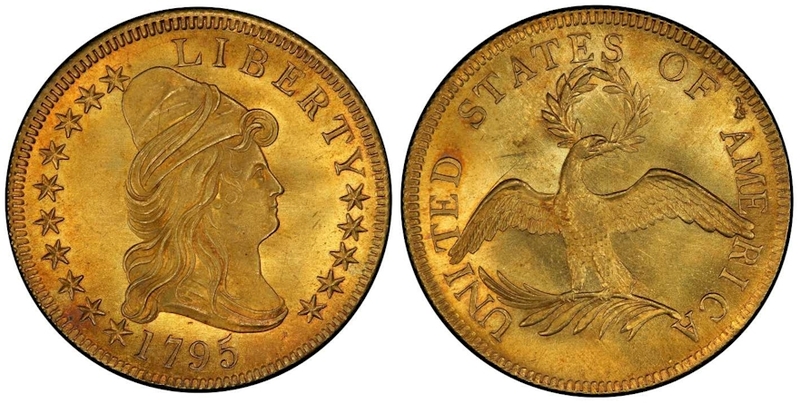 The leading U.S. Gold coin sold was the 1795 13 Leaves Capped Bust $10 in PCGS MS66+ selling for $2,585,000. This final price doubled pre-sale estimates. 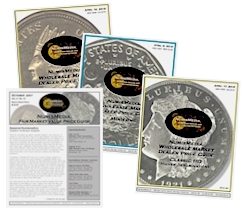 We featured the Pogue II Collection in the October NumisMedia Monthly, listing potential highlights from this important sale. 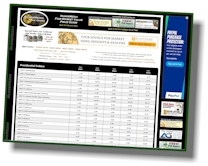 Several of the coins sold were previously unlisted in the FMV price guide and many of these coins are the finest known. Below are just a few of the remarkable results from the second D. Brent Pogue Sale. 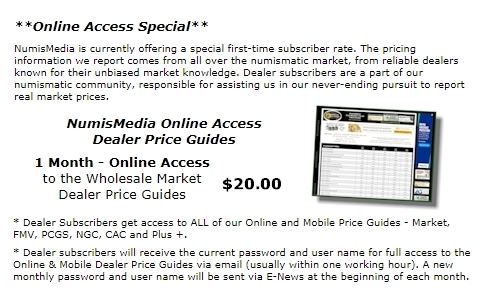 In this week’s HD Wholesale Market Dealer Price Guide many of the adjustments are from the results of major auctions. Early Halves are mixed but even the dates and grades that are lower are steady at the new levels. This is a strong market overall with some specific coins by grade that releveled just a bit lower. The 1807 Heraldic Eagle in MS65 is down slightly at $55,000 Market. In Capped Bust Halves, there are several declines in MS64 and MS65, but again, just marginally. The 1823 in MS65 is lower at $11,950 Market and the 1825 is down to $7,850 in the same grade.